In divorce or uncoupling with children, there are many instances where the parents cannot communicate with each other, cannot or will not cooperate with each other, and in other respects continue the acrimony that existed since the demise of their relationship. Obviously, for two individuals to share parental responsibilities effectively, there must be a basic level of cooperative civility and communication related to the best interests of their children. Some are able to pull this off and their children only benefit from their parents presenting a unified, supportive and nurturant presence in their lives. But many divorced or otherwise uncoupled parents cannot stop hating the other. They carry their sense of betrayal, hurt feelings, perceived victimization and anger with them all the time. It is very difficult for them to hide their feelings, to keep from making comments to, or in front of, their children. That parent truly believes that they are the better parent (or the only parent that matters), regardless of the reality. Maybe that parent is, or is not the better parent. In a high-conflict divorce with children, the parties often have a parent coordinator appointed by the Court, to mediate the day-to-day conflicts related to parenting time and children’s activities, among other things. This can keep the parties out of Court, and enable the parties to avoid direct dealings with the other. 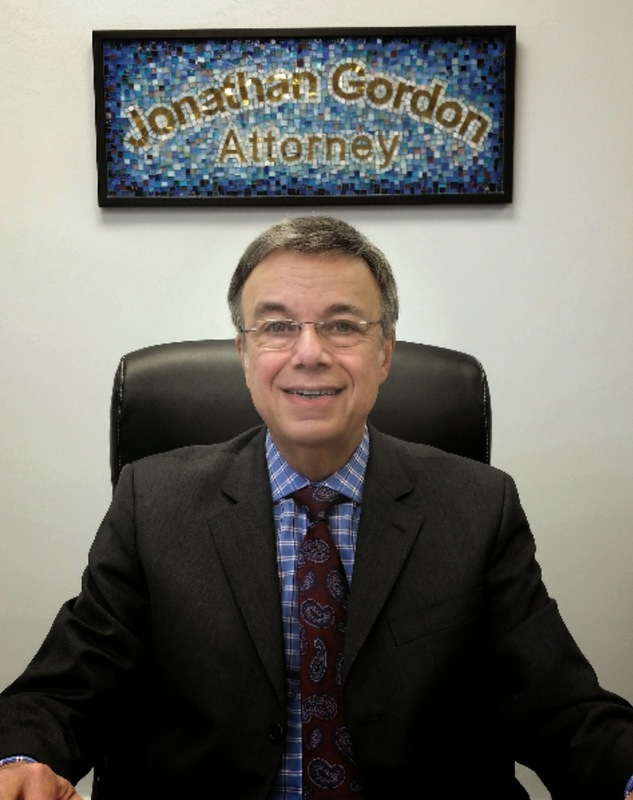 Sometimes in cases where both parents are clearly acting at odds with each other, to the detriment of the children, a Court may appoint a Guardian ad litem for the children who will act as an investigative attorney to report on the children’s best interests to the Court. Let’s say a couple got divorced and live more than a short local distance from each other, perhaps a 30-60 minute ride between homes. In a case where both parents have a significant amount of overnights—more than just every other weekend for the non-primary residential parent—then you might find a scenario where both parents set up their own separate worlds between which the children move back and forth. Recently, this phenomenon has been dubbed “parallel parenting”, since each parent sets up their own choices of activities, doctors, friends, and sometimes pre-schools, for their children. So the children here would have two doctors, two soccer teams, two sets of friends, two birthday parties, etc. The parents’ wish is to set up a scenario where they can have a life with their children, to the exclusion of any communication or interactions with the other parent. But what effect does this have on the children? Unfortunately, there are no longitudinal data available to support the benefits or detriments of this setup on children. But logically, how could this go on indefinitely? A child living in two separate worlds eventually will have to merge some activities of those worlds. The child can only go to one elementary school by Kindergarten age. If there are two pediatricians, will one communicate with each other? What if one doctor prescribes something for the child while at one parent’s house, what if the other parent’s pediatrician disagrees with the treatment? What about orthodontics? Does the child have to belong to two soccer leagues, and what if one league’s game conflicts with the other league’s game? It can get crazy, for the sake of setting up two distinct worlds for the child. Who is this really for? It is likely, despite the stated goals of each parent to set up a wonderful, calm world for their child, that there is a certain amount of narcissism or parental selfishness operating within each world. The disdain by one parent for the other parent continues to exist, and it is unlikely that the children would be totally insulated from their respective parents’ feelings about the other. Comments are made by a parent or relatives, facial expressions are revealing, and there is a rigidity within each parent’s structure that the child has to live with. It promotes the ongoing competitiveness between the parents to create the “better” world, to insidiously seduce the children toward one parent more than the other. The parent(s) may or may not be consciously aware of this underlying motive or dynamic, and may strongly disagree that they are motivated by selfish motives. But pronouncing that you are doing something that is good for your children does not necessarily make it good, even if you sincerely believe it. Parallel parenting postpones the inevitable, putting off the time in the future when the parents will actually have to swallow their anger and hurt feelings, move on and get along for the benefit of their children. At some point, the children, being forced into this parent-focused structure, will resent it and perhaps resent it a lot and rebel. This lifestyle is a dressed-up version of the Disneyland parent, disguised as a child-friendly structure, which it often is not. Do the parents ever intend to participate together to plan a wedding? How about the children going to college? Do the parents ever intend to discuss where their children will go to school, if and when cars will be purchased, trips abroad for study opportunities, etc.? Will the parents ever have to sit down to discuss their child’s emotional and social development, especially when there are problems? And if so, will they do it without finger-pointing, blaming the other parent? It is inevitable that the parents will have to become grownups if they are going to truly make their children comfortable, conflict free, and well-adjusted as adults. It is inevitable that at some point, the parallel worlds will have to converge to some extent. The fantasy that one can parent children while completely insulated from the other parent is actually not a nice thing, and perpetuates the pre split-up demonization of the other parent (now perhaps unstated overtly, but still running in the background). Here, freezing out the other parent substitutes for the demonization. Nothing more need be said about the other parent. Rather here, having set up one’s separate sphere of parenting implies the non-existence of the other parent, and that message is clearly sent to the children. Unless the other parent is a danger to the children, is an active alcoholic or substance abuser, is emotionally or physically abusive or truly neglectful to the children, is morally lacking or engages in criminal behavior, then there is no excuse for one parent being quarantined by the other. It is not for the children’s benefit as much as it is for the parents’ selfish needs. There is no evidence that this is good for children. If a divorced couple continue to hate each other after the divorce (and this also applies to unmarried parents who split up, obviously), unless otherwise contraindicated by a history of domestic violence or other pathological conditions such as substance abuse and alcoholism, etc., then they should seriously consider counseling to enable them to learn to put their history aside and work together at least minimally, for their children’s best interests. In the event that one individual’s emotional state is such that they are filled with hatred for their former partner, and that person cannot move on and let it go (whatever “it” was), then individual psychotherapy should be considered. Walking around chronically with anger, hatred of another person, tension or high anxiety over anticipated dealings with that hated person (vis-à-vis an event with the children), then recognizing that this is unhealthy would be a good first step. Hating another person doesn’t hurt the hated person; it cannot be felt by that person. Rather, it eats away at the insides of the hater. The anxiety over dealing with someone who hurt another (emotionally) is a problem for the anxious person, not the hurtful person. I would strongly recommend that someone who suffers these emotions in silence would be well advised to go for assistance to learn better coping methods. It would feel better to learn to be indifferent to the other person and to be enabled to deal with them in a problem-solving manner for the sake of child-related issues that will come up for the parents. You can be indifferent (emotionless) to another person while continuing a working relationship with that person for some higher purpose. There is a big difference between having a negative opinion of another (e.g. “that person is selfish and uncaring”), and having your intestines twisted into a knot over any thought of that person. You can have a negative opinion, accepting that the other parent is a flawed individual with whom you would rather not hang out. You can nevertheless simultaneously communicate civilly and make a plan on behalf of your children with that person. Demonizing and marginalizing the other parent accomplishes nothing, but it hurts the kids. Parallel parenting pretends the other parent does not exist. But that is a fallacy in most cases. That person once worked with you (one way of putting it) to create a child with you. That person is a necessary, not expendable component of parenting your children and it is good for your children to have both parents working with each other for their benefit if it is at all possible, even if it causes the adults some discomfort.